An Angleton ISD teacher was found after he drowned in a fishing accident in Christmas Bay. ANGLETON, TX (KTRK) -- An Angleton Junior High School coach and teacher died while fishing Sunday morning in Brazoria County's Christmas Bay. Jonathan "J.R." Wagner was 30 years old. "I don't know what I'm going to do without him," his wife Katy Wagner said. "We're having a baby in June. A little boy. He was so excited." Wagner was an avid fisherman. He left home early Sunday morning and never came back. "J.R. probably slipped into deeper water," Wagner's father, Ray Wagner said. "He had waders on and his waders had filled up with water." Coast Guard crews and dozens of volunteers searched the bay for him. "Family, friends, and people he didn't even know, were looking. There were boats everywhere, and also people looking for him on land," Wagner's mother, Sandy Wagner said. "It just tells you how much he was loved." Wagner was born and brought up in Angleton. He graduated from San Houston State University in Huntsville, and came back to Angleton as a physical education teacher and coach at Angleton Junior High. The school district shared the news on its Facebook page with a message from Superintendent Pat Montgomery. "J.R. was a Wildcat through and through. He graduated from Angleton High School in 2004 and returned to AISD to teach and coach at Angleton Junior High School, and what his students and colleagues will remember about him is his warm smile and caring heart," Montgomery wrote. "He sent me a text last Monday and was so fired up," Angleton ISD's Athletic Director Ryan Roark said. "He said, 'Here's the next Wildcat starting safety in sixteen years' and sent me a picture of the sonogram. Yeah, first kid." On Monday, students wrote a letter that will be given to Wagner's son. "One day I'll get to read those to him so he can know what a great daddy he had," Katy said. A memorial fund has been created on a GoFundMe page for Wagner's family. As of Tuesday, more than $20,000 has been donated. Many people have been sending their condolences and honoring Wagner. Miguel Aguila, 13, was one of Wagner's students. After hearing about his death at school, Miguel wanted to do something for his coach. 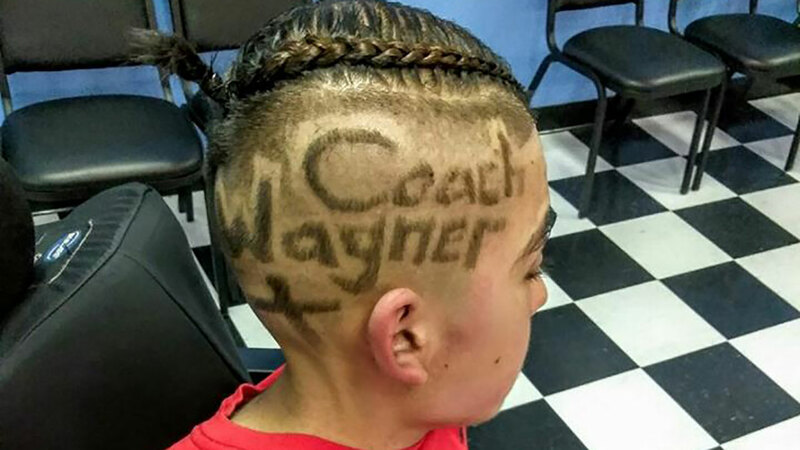 Martha Aguila, Miguel's mother, said he approached her and said that he wanted to shave his coach's name into his hair. They went to The Barber Shop in Angleton where Robert Gomez fulfilled his request.